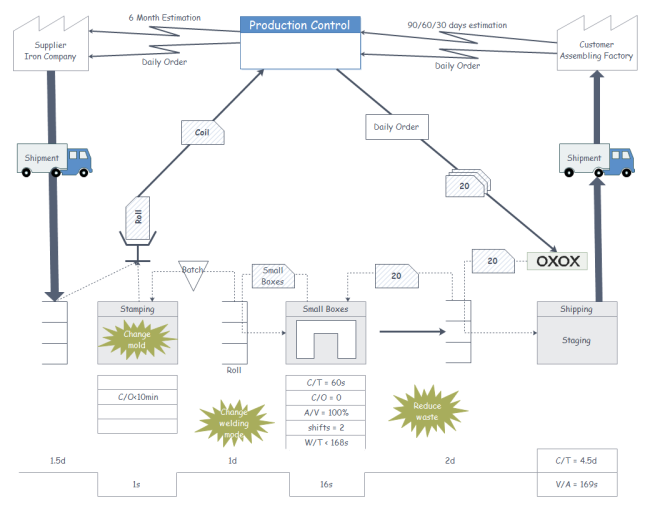 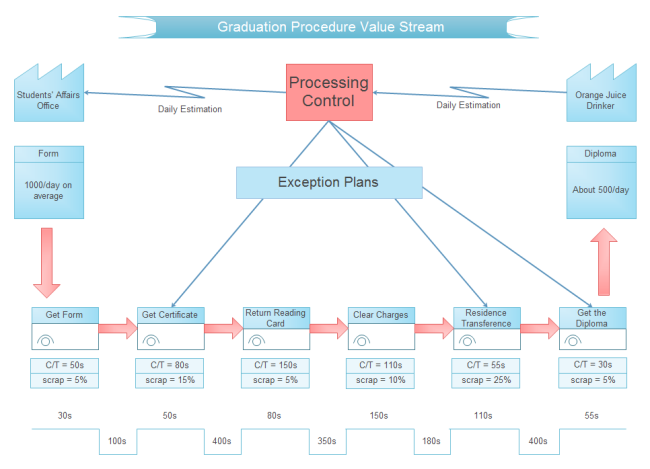 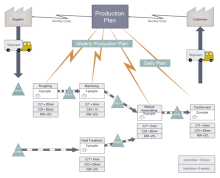 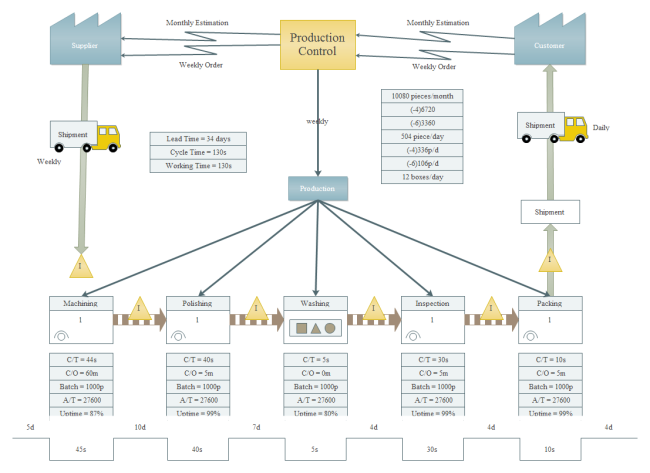 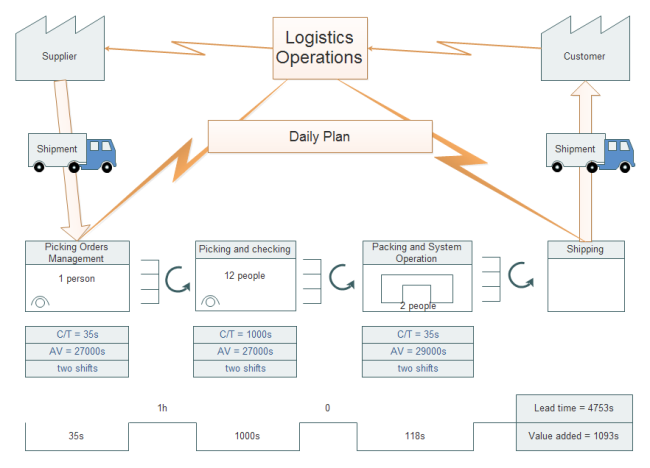 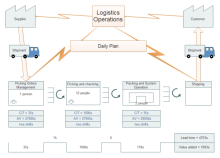 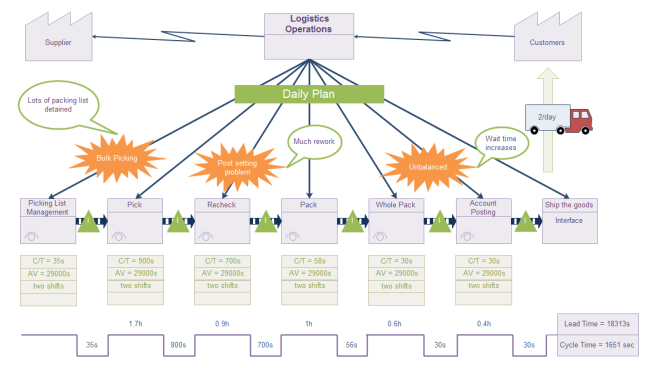 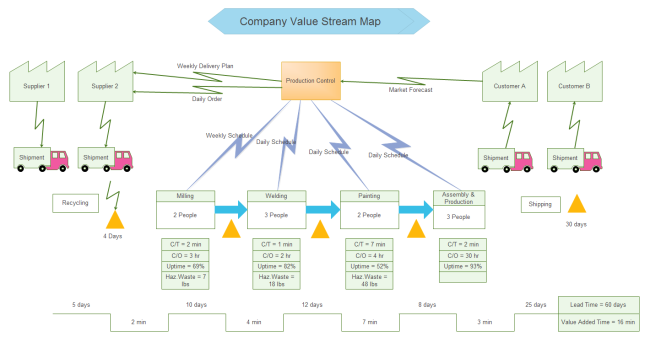 To efficiently create the value stream map, it is best to start work from ready-made examples. 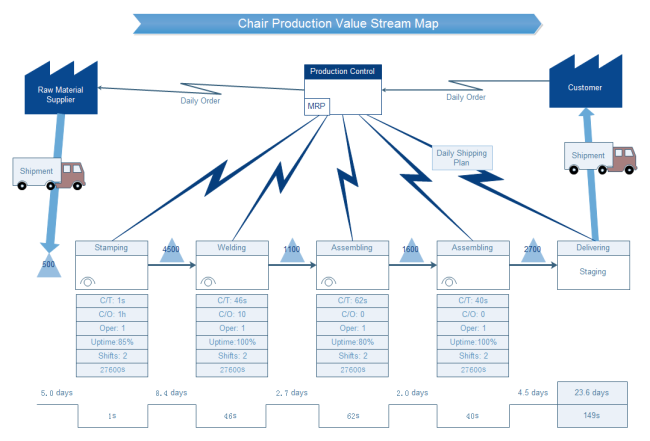 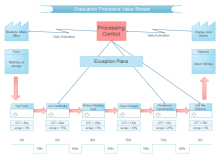 Now we will present some value stream maps for proper understanding of this drawing type. 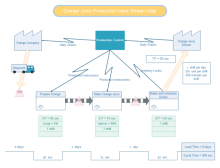 The following value stream examples can be edited and modified with our value stream map software. 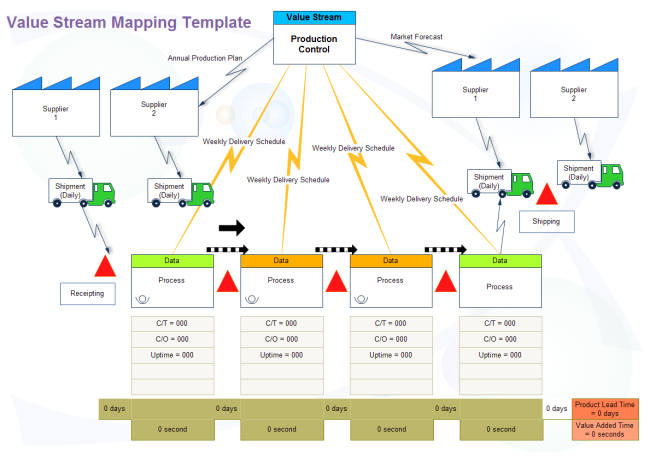 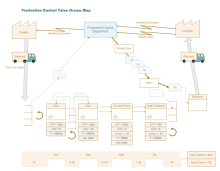 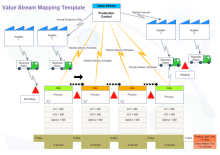 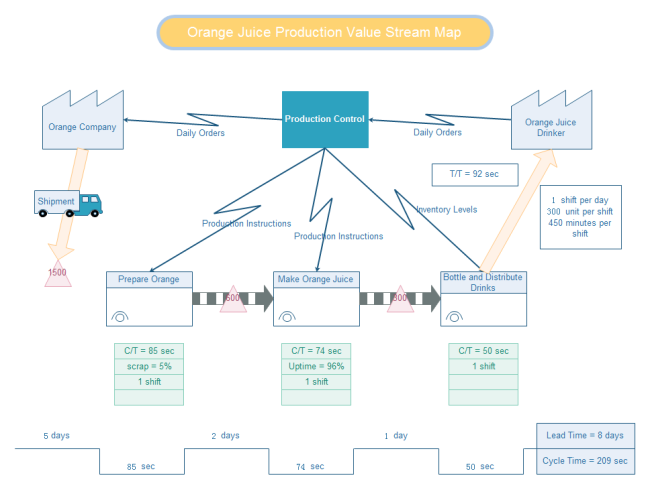 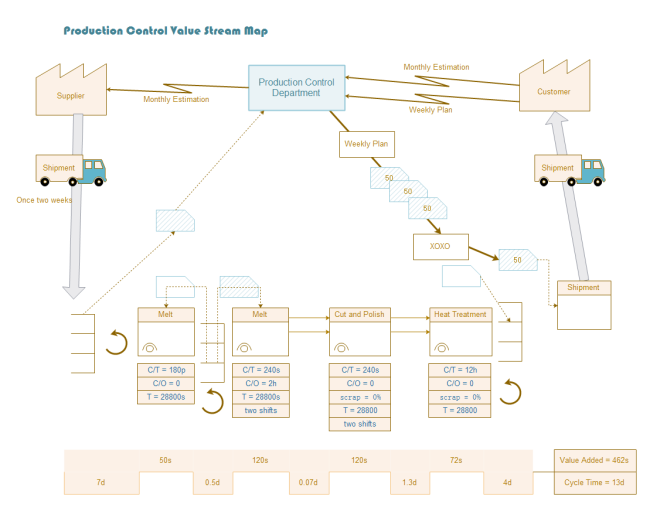 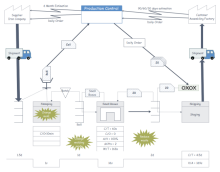 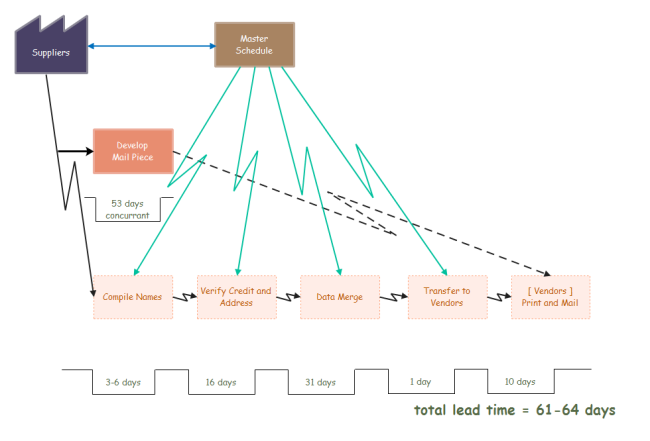 By using easy-to-use drawing tools, with many pre-drawn templates and a great amount of symbols and examples, create value stream map can be fast and effective, and with no prior experiences required.